The new Intel® Pentium® G4620 processor are ideal for a desktop system and can handle all your everyday computing needs. It comes with latest 14nm processor technology, microarchitecture, an Intel Pentium is not only reliable, but offers the solid performance needed to run daily applications simultaneously and efficiently. This processor is great for home and office, offering excellent productivity and visual experience. It is best choice for government and education, since it can meet the Global energy standards. This processor brings latest technologies such as DDR4 RAM memory allowing system to have higher memory data transfer speed at a low power when compared to DDR3. Intel® HD Graphics 630 is now available on selected Pentium processors offering seamless visual experience and makes the Pentium processor ideal graphics solution for your everyday visual computing needs. 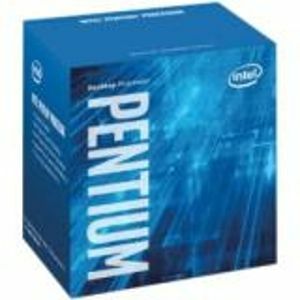 Buy the Intel Pentium G4620 Processor now.